The Full Marvel August 2018 Solicitations are Here! The full Marvel August 2018 solicitations have been released, and in the gallery viewer below, you can now check out all the artwork, synopses and product images for more than 100 different upcoming Marvel releases! RELATED: The Full DC Comics August 2018 Solicitations! 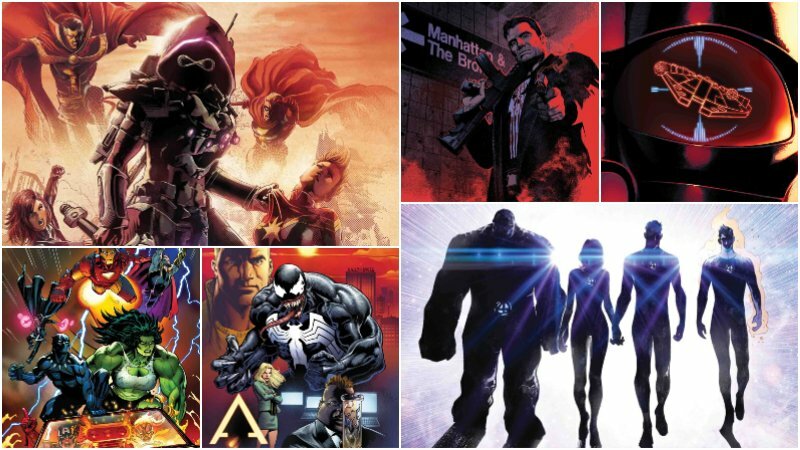 Included in the Marvel August 2018 solicitations is the continuation of Marvel’s Fresh Start, new launching off points for their landmark books with new creative teams! 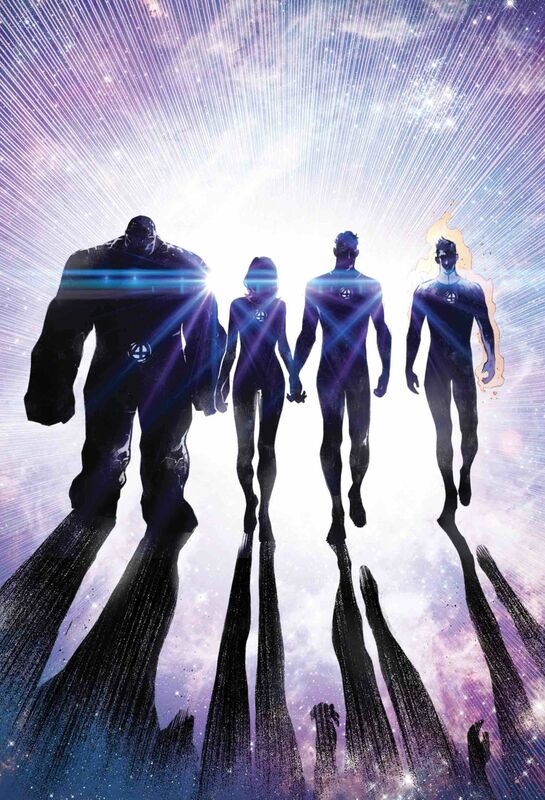 Among the new titles is the return of Marvel’s first family with Fantastic Four #1! After three years without a series, writer Dan Slott and artist Sara Pichelli will bring the team together for an all-new adventure. Since the end of Secret Wars, there’s been a gap in the Marvel Universe. A void no other team can fill. And it’s time for the world to move on. But can it? A life-changing decision by the Thing! A momentous declaration by the Human Torch! A clarion call-to-arms that summons Doctor Doom! And a signal in the sky that heralds the return of hope to the Marvel Universe! All this, and Alicia Masters adopts kittens! So cute! Plus, the Impossible Man! Another new #1 in August is the start of the long anticipated event, Infinity Wars. Writer Gerry Duggan and artist Mike Deodato Jr. team up for the story introducing a new character to the Marvel U, Requiem. As the Infinity Stones come to Earth, so too comes the war for control over them. But none who wield the stones know the truth about the power they contain…or what it would take to bring them to their END. The nature of the universe itself hangs in the balance as we learn the answer to the question on everyone’s lips since Infinity Wars Prime. RELATED: The Full Marvel July 2018 Solicitations! Also debuting in August will be the debut of a new West Coast Avengers #1, written by Kelly Thompson with art by Stefano Caselli and featuring both Hawkeyes, America Chavez, Kid Omega, and Gwenpool! in addition, August brings a new The Punisher #1 from writer Matthew Rosenberg and artist Riccardo Burchielli and the secret history of your favorite symbiote with Venom: First Host from writer Mike Costa and artist Mark Bagley. Which of the Marvel August 2018 solicitations are you most excited for? Let us know in the comments below!